BECHTELSVILLE, PA April 21, 2019 . . . Sprint cars will be in action for the first time this season when the Delaware Auto Exchange Mid-Atlantic Sprint Series, featuring 305 Sprint racers, is part of a big tripleheader show of auto racing at Grandview Speedway on Saturday, April 27th, that will also include T.P.Trailers 358 Modifieds and T.P.Truck Equipment Sportsman. Racing gets the green flag at 7 p.m. Gates open at 5 p.m. Adult admission is $18 while youngsters under the age of 12 are admitted free. Fans arriving early will have the opportunity to see a number of race cars up close and talk with a few of the racing talents as part of Low Down And Dirty Meet & Greet near the main grandstand entrance starting at 4:30 p.m. This Saturday Richie Hitzler will represent the Modifieds and Kyle Smith will be there for the Sportsman. The MASS Sprints are also expected to be represented. The Blast from the Past Vintage Racers return to Saturday night racing on May 4th as part of a tripleheader that will also feature the NASCAR 358 Modifieds and Sportsman stock cars. Starting time will move to 7:30 p.m.
NASCAR sanctioned Grandview Speedway is a one-third-mile, banked clay track, located at 43 Passmore Road, just off Route 100, in Bechtelsville, PA, 10 miles north of Pottstown. For information check in at www.grandviewspeedway.com, Facebook or telephone the track office at 610.754.7688. Saturday night at the 1/3-mile Berks Co. clay oval, crew chief Josh Bashore had Von Dohren’s car dialed in on the slippery surface as a result of heavy rains. The track crew is to be complimented on getting the track race ready after the downpours throughout Friday night and Saturday morning and late afternoon. Von Dohren took advantage of the situation when race leader Tim Buckwalter went too high coming off turn three on the 15th lap to put the K.L. Harring Transportation/Nick Gatto powered No. 1C in the lead. He outdistanced himself from the others and went on to chalk up his first win of the year in the TP Trailers 358 NASCAR Modified feature. 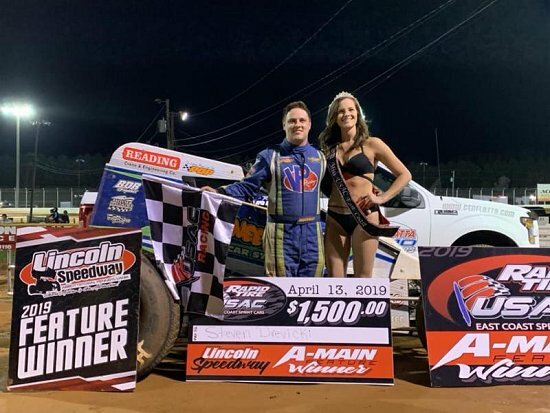 The TP Trailers Truck Equipment 25-lap NASCAR Sportsman feature saw Brightbill overtake Ryan Beltz on the eighth lap to go on to score his first win of the year ending his four-year winless drought. His last win came on August 22, 2015. Von Dohren and Brightbill both earned extra monetary awards from T.P. Trailers, product awards from VP Fuels providing they met the requirements and the Dan’s Deli ½-way hoagie awards. Brett Peters and Curt Neiman were the winners in the 20-lap Blast From The Past feature. Peters won the modified class while Neiman took the small car feature win. Modified action saw polesitter Buckwalter spring into the early lead and within no time he was gaining ground over the competition being chased by Clay Butler, John Willman and rookie racers Joe Funk III and Dylan Swinehart. Lap 13 was an unlucky one for rookie racer Louden Reimert when he was sidelined with a right rear flat tire bringing out the caution. It was still Buckwalter in control, but now Butler, Von Dohren, Kevin Hirthler and Funk III composed the top five. Buckwalter got into the loose marbles and before he could get the Saxton Motorsports mount composed Von Dohren and Willman got past him for first and second. Once Von Dohren was in the lead it didn’t take him long to pull away trailed by Willman, Buckwalter, Hirthler and Butler. The field never closed in on Von Dohren since no more cautions were needed and he pulled into victory lane for his 106th Saturday night career win. The biggest disappointment had to be for Willman. After taking the white flag he pulled into the infield on the backstretch out of competition. Hirthler went on to finish second followed by Buckwalter, Rick Laubach and last week’s feature winner Brett Kressley. Sixth through tenth were Butler, Frank Cozze, D. Swinehart, Briggs Danner and Jeff Strunk. Heats were won by Buckwalter, Butler, Ray Swinehart and D. Swinehart. Bobby Trapper Jr. and Kyle Weiss were the consi winners. Beltz took the early lead from the pole in the Sportsman feature followed by Nathan Mohr, Brightbill, Kenny Bock and Andy Clemmer. Brightbill motored into second on the second circuit to pressure Beltz for first. Blake Reber spun in the fourth turn to bring out the caution with seven laps completed. On the restart Brightbill charged into first to become the new pacesetter. With Brightbill now in control the battle behind him for the remaining positions was between Beltz, Bock, Mohr and rookie Kyle Smith. Bock’s strong third place run ended when he came to a half along the homestretch on the 19th lap. Brightbill held his first place spot when action resumed, but now Beltz was sidelined with a flat tire, but he pulled off the track to avoid another caution. Brightbill never faltered and went on to claim his sixth career victory followed by R. Smith, Brad Arnold, Kyle Lilick and Dean Backman. Rounding out the top ten were Brad Brim, Mark Kemmerer, last week’s feature winner Jack Butler, Nate Klinger and Brian Hirthler. Beltz, Mohr and Bock won the heats. The consi was won by Josh Adams. The excitement of Sprint car racing combined with the T.P.Trailers Modifieds and T.P.Truck Equipment Sportsman will be the attraction next Saturday, April 27th. The Delaware Auto Exchange Mid-Atlantic Sprint Series 305 Sprinters will make their first appearance of the new season with Tom Carberry, Tim Tanner, Jeff Geiges, recent winner Bryant Davis and others expected to participate. Adult admission is $18 with youngsters under 12 admitted free. And there is free parking on the speedway grounds. The tripleheader racing action will have a 7 p.m. starting time. The Blast from the Past Vintage racers join the Modifieds and Late Models on Saturday, May 4. It is important for fans to note that the starting time is moving to 7:30 p.m. for Saturday night events with this show. Information on what is going on at Grandview Speedway can be found at www.grandviewspeedway.com, Facebook or telephone 610.754.7688. T.P. Trailers Modified Feature (30 laps): 1. Craig Von Dohren, 2. Kevin Hirthler, 3. Tim Buckwalter, 4. Rick Laubach, 5. Brett Kressley, 6. Clay Butler. 7. Frank Cozze, 8. Dylan Swinehart. 9. Briggs Danner, 10. Jeff Strunk, 11. Kenny Gilmore, 12. Kyle Weiss, 13. Joe Funk III, 14. Danny Erb, 15. Craig Whitmoyer, 16. Alex Yankowski, 17. Doug Manmiller, 18. Ryan Grim, 19. Duane Howard, 20. Steve Swinehart, 21. Bobby Trapper Jr., 22. John Willman, 23. Meme DeSantis, 24. Ray Swinehart, 25. Mike Laise, 26. Louden Reimert, 27. Mike Lisowski and 28. Chris Gambler. DNQ: Ron Seltmann Jr., Richie Hitzler, Ryan Lilick, Jordan Henn, Bobby Gunther Walsh, Ron Myers, Jared Umbenhauer, Colt Harris, Frank Yankowski, Mark Kratz, Steve Wilson, Skylar Sheriff, Justin Grim and Eric Biehn. T.P. Trailers Truck Equipment Sportsman Feature (25 laps): 1. Brad Brightbill, 2. Kyle Smith, 3. Brad Arnold, 4. Kyle Lilick, 5. Dean Bachman, 6. Brad Grim, 7. Mark Kemmerer, 8. Jack Butler, 9. Nathan Klinger, 10. Brian Hirthler, 11. Nate Brinker, 12. Andy Clemmer, 13. Jesse Landis, 14. Andrew Kreis, 15. Aaron Bowes, 16. Josh Adams, 17. Blake Reber (alternate), 18. Nathan Mohr, 19. Ryan Beltz, 20. Kenny Bock, 21. B.J. Joly, 22. Derrick Smith, 23. Joey Vaccaro, 24. Tom Miller. DNS: Parker Guldin. DNQ: Matt Koffel, Scott Kohler, Warren Floyd Jr., Sean Weiss. Blast From The Past Vintage Feature (20 laps): 1. Brett Peters, 2. Todd Lap, 3. Mike Kelly, 4. Curt Neiman, 5. Bobby Hall, 6. Wyatt Jacobus Sr., 7. Brock Jacobus, 8. Rich Decker, 9. Dominique Deglas, 10. Tom Orth, 11. Kevin Sponagle, 12. Wes Cassel, 13. Jamie Undercoffler, 14. Bill Gerhart. NAPA AUTO PARTS THUNDER ON THE HILL CONTINUES. . . . . .
BECHTELSVILLE, PA (April 18, 2019) – The NAPA Auto Parts 30th Anniversary Thunder on the Hill season opener is set for Tuesday night, June 11 at the Grandview Speedway. The series that just doesn’t quit will return to the hill on Tuesday night, June 11 with the Jesse Hockett $10,000 to win USAC Non-Wing National Sprint Series event, joined by the 358 Grandview modifieds. Fans with Advance tickets may enter the grandstands at 4:30 PM with General admission tickets going on sale at 5 PM. Race time is set for 7:30 PM. This spectacular double header brings together two premier divisions that is sure to rock the house. Advance tickets may be ordered for the Tuesday, June 11 USAC Sprints & Modified show by calling 443 513 4456. Please speak slowly and clearly when leaving a message and be sure to leave your name and number of tickets you will need. Feel free to leave your phone number as well. Tickets may be paid for and picked up at the WILL CALL Window on race night after 3:30 PM. These tickets will entitle you to enter the grandstands at 4:30. Adult admission tickets are $30, children 6 to 11 $10 and children five and under will be admitted for free. “It’s exciting to think that we are going into our 30th year of Thunder on the Hill and the Jesse Hockett Classic is a great way to open the series” Promoter Bob Miller said. 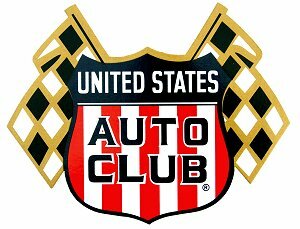 Some 13 years ago, it was Miller and track owner Bruce Rogers who worked out the deal to bring the nationally known USAC stars back to Pennsylvania. On June 11, the USAC AMSOIL National Sprint Car Series takes to the track for thJesse Hockett Classic, featuring a $10,000 payday that will help highlight the King of the non-wing jungle. ‘The Macho Man’ Brady Bacon proved he has mega powers at Grandview Speedway claiming the past two USAC victories – but anything can happen on the third-mile when there are $10,000 bucks up for grabs. The PA Posse 410 sprint cars invade the Grandview Speedway on Tuesday, July 2 and they’ll be competing for $10,000 to win the twenty-fifth Grandview Speedway Pennsylvania Sprint Car Speed Week event. NASCAR Cup Series star Kyle Larson has put the PA Posse in their place for two consecutive seasons, but a strong field of local competitors plans to keep that cash on home turf. Look for local favorite Ryan Smith to hunt down and capture that first career Thunder victory wheeling the Mike Heffner sprint car in the new season. The debut of the NOS Energy Drink USAC National Midgets takes place on Tuesday, July 30. For years fans have begged, bargained, and pleaded for the Midgets on the Bechtelsville high banks and there’s no better time than the 30th Anniversary season of Thunder on the Hill. Many of the same USAC Sprint Car stars will strap into midgets for this event like Brady Bacon and Kevin Thomas, Jr. The 5th Annual Levan Machine Truck Equipment Thunder Cup event brings the Ollie’s Bargain Outlet All Star Circuit of Champions to the one-third mile Grandview Speedway on Thursday, August 22. A highlight of the Thunder season, the All Star event will pay homage to the late Greg Hodnett, with a special memorial trophy. The 358 Modifieds will co-headline all of the previously mentioned events, competing in 30 lap events for $3,000 to win and lucrative NASCAR points. Grandview’s premier weekly division always thrills the crowd with side-by-side action. The NAPA Auto Parts Thunder on the Hill Racing Series concludes on Saturday, October 22 with the House of Thunder Halloween Party featuring the 22nd running of the Modified Traffic Jam – where Big-Blocks battle Small-Blocks in the Mods at the Madhouse. Alongside the Modifieds, the Sportsman, and MASS Sprint Cars will also be in action. The brainchild of Grandview Speedway owner Bruce Rogers, special events promoter Bob Miller, and local driving star Dave Kelly, the Thunder on the Hill Racing Series celebrates 30 years of the most anticipated events of the racing calendar year after year. In 132 events, over $4.6 million dollars has been divvied up among the area's fastest racers. What started as a single 410 Sprint Car event in 1990 has blossomed to feature a variety of racing action including 358 Modifieds, USAC Wingless Sprints, All-Star Circuit of Champions, 360 & 410 Sprint Cars, Sportsman, Late Models, Midgets, Legend Cars, DIRTcar and ROC Modified events. The 2019 30th Anniversary Series of Thunder on the Hill is dedicated to Bruce Rogers. Grandview Speedway is a high-banked one-third mile clay oval, celebrating their 57th Anniversary season in 2019. The facility offers free parking, quality food at reasonable prices (be sure to try the french fries), a program book, Grandview Speedway and Thunder on the Hill racewear and great viewing from every seat in the house. Race fans may take part in the Inside/Out promotion, where you can sign up (no charge) to watch warm-ups from inside turn four. Race fans are also invited to victory lane following the racing program and, race fans may enter the pits after the races to meet the drivers. Be ready to enjoy the spine-tingling fireworks salute on the feature event parade lap.